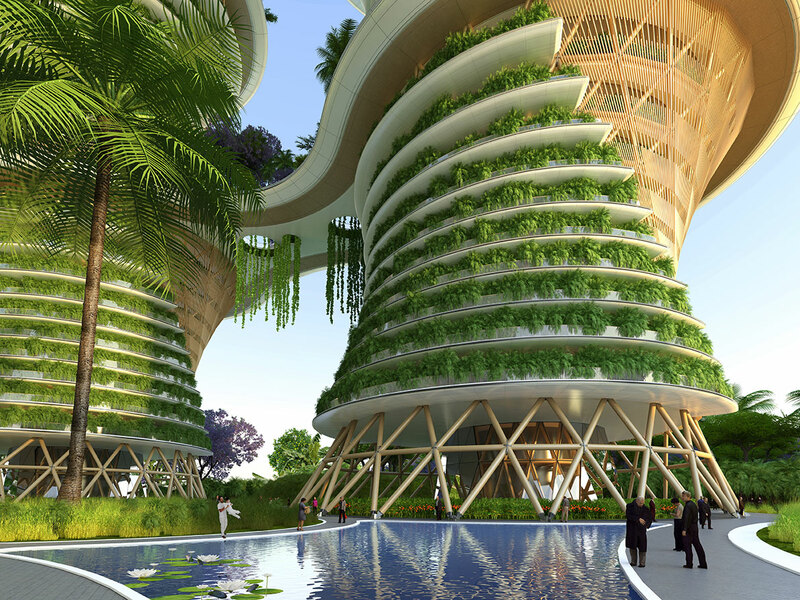 Are vertical villages the answer to an eco-future? 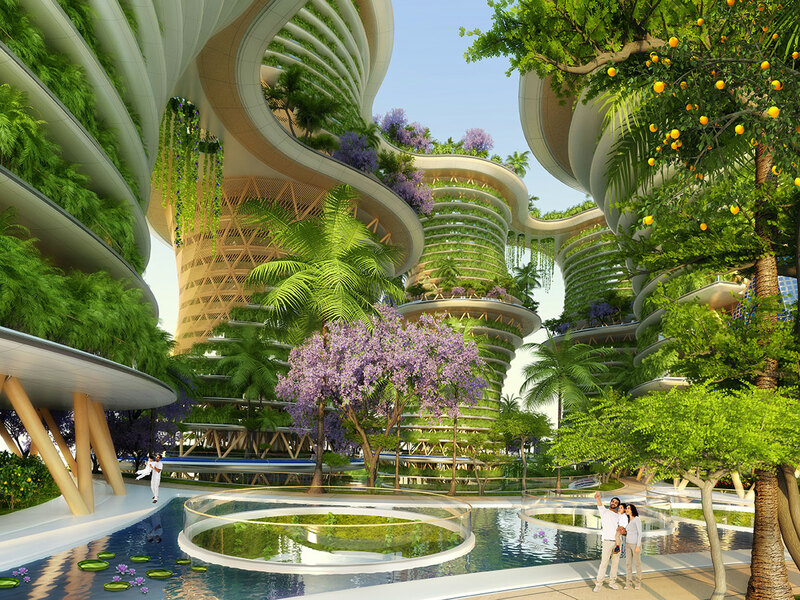 We could soon be shifting from a concrete jungle into a real jungle-style complex with this futuristic design that proposes a towering eco-friendly village. Producing more energy than it consumes, 'Jaypee Green Sports City' aims to improve energy efficiency and decrease environmental impact. 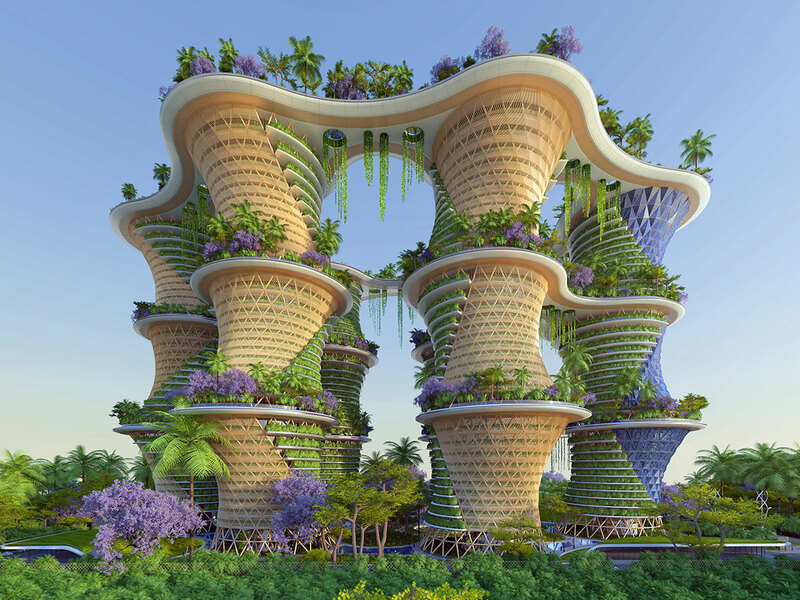 The vertical village, designed by Paris-based architecture practice Vincent Callebaut and Hindu agroecologist Amlankusum, is suggested to be based outside of New Delhi where the compound is titled Hyperions. 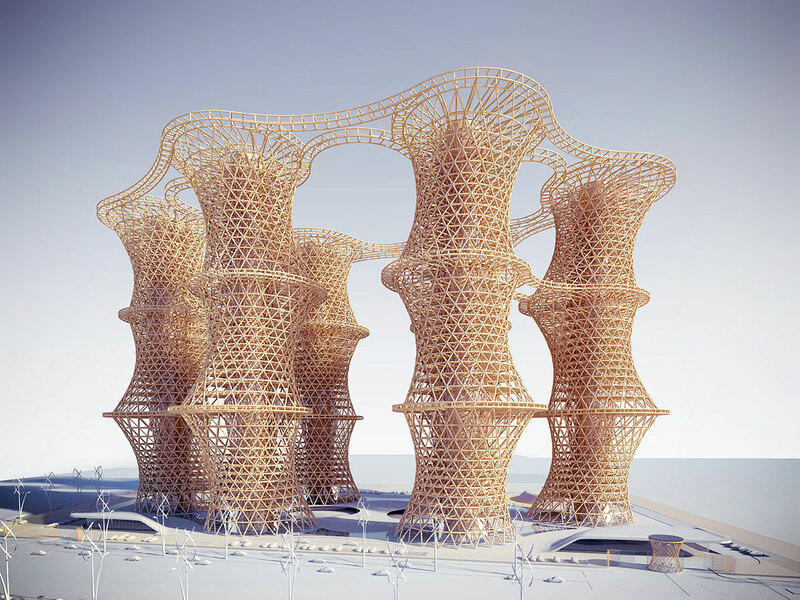 The jungle-like structure is comprised of a six-tower complex each 36 storeys high. 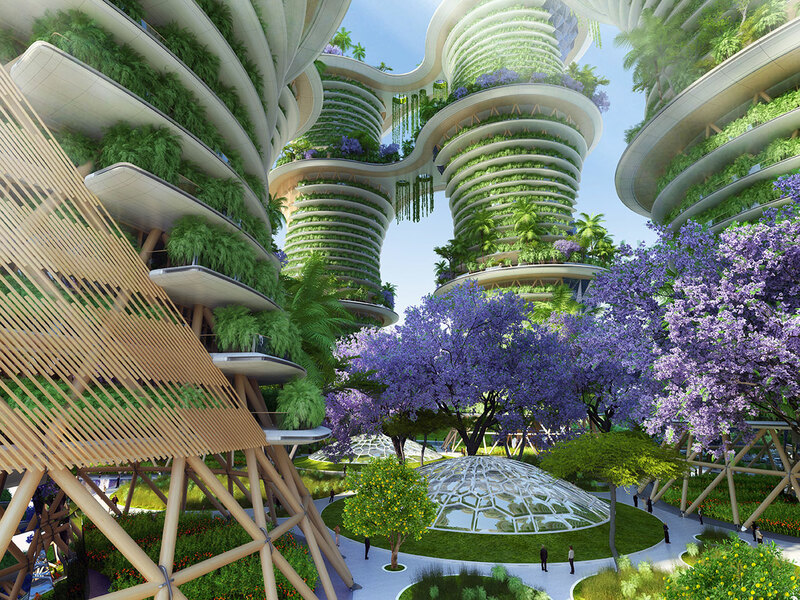 The towers are interconnected by walkways, green spaces adorning every possible surface and shared eco-conscious utilities. Steel and concrete make up the substructure, which has built-in earthquake resistant elements, while locally sourced solid wood is used for the superstructure. A variety of energy sources have been integrated into almost every surface to make the buildings as energy-efficient as possible. Photovoltaic solar panels adorn the building exterior, rooftops include trees and other vegetation and greenery covers the remaining spaces. Wind lampposts have wind turbines incorporated into their structure, which can harness the wind energy and produce light. Other eco measures include: a 'permaculture greenhouse' for self-sufficient food production, orchards for food production and a community space; a 'phytopurification lagoon' as a water source; and a natural swimming pool for leisure. The buildings will house apartments, offices and more, to be a fully-encompassing self-sufficient neighbourhood.